Put the Web to Work: 5 Reasons Why Hashtags are a MUST! Whether you LOVE or HATE hashtags, they are an important part of using social media. Hashtags can provide a simple way of searching for specific, topical content. Understanding WHY they're such an important part of social media marketing and what they can do for your business is even more important. Hashtags give you the ability to track conversations about your brand and products. Hashtags can help you keep an eye on what's going on in your industry. Read on for 5 reasons why you need to be using hashtags in your social media marketing. 1. Hashtags allow you to keep an eye on your competition. 2. Hashtags allow you to hear what's going on in your industry. Using hashtags can be a powerful way to keep track of what's happening in your industry. For example, if you are a realtor, you may track hashtags, like #RealEstateTrends or #RealEstateNews. Doing this can give you the advantage knowing what your colleagues are up to and even the opportunity to get involved in the conversation. 3. Hashtags allow you to promote special events, contests, or deals. Be creative! 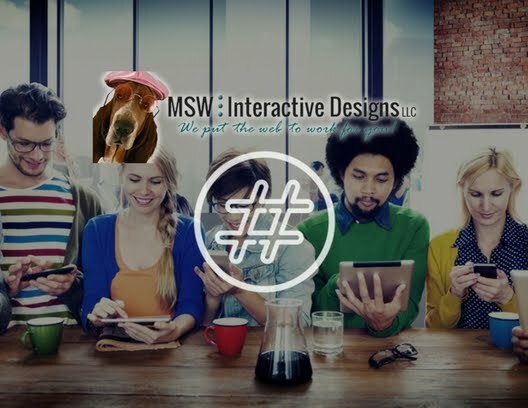 Come up with catchy, easy-to-remember hashtags for special events, deals, or promotions to facilitate easy sharing and campaign tracking. For example, when the city of New York runs their annual photo contest, they use the hashtag #LoveNYC. Doing this can allow for easy tracking of the photos people entering the contest post. The MSW Interactive team recently participated in a Chili Cook-Off for charity and we gave away a mini tablet. We had people take a selfie with our sign, load it to their favorite social media platform and use the hashtag #goneviralchili. 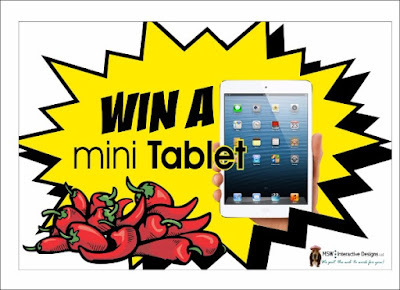 After the event, we did a search for #goneviralchili and all of our entries came up, making it simple to pick a winner from the social media posts! 4. Hashtags allow you to specifically target your audience. If you are looking to target a very specific group of people, such as people who just got married or who just had a baby, you could try using hashtags like #newlyweds or #newborn. Anyone who is searching social media sites for conversations about newlyweds or newborns could potentially find you. 5. Hashtags allow you to monitor your online reputation. Savvy business owners want to know what people are saying about their business or brand. By monitoring the hashtags related to your brand, you can quickly see what people are saying about your business and respond, if needed. The use of hashtags is becoming more and more prevalent, so it's important that you understand what they are and how to use them to market your business and monitor your reputation. Have questions about hashtags? Let us know! We're here to help! Need Help With Your Social Media Marketing Campaign? MSW Interactive Designs is happy to help you with your social media marketing needs. Our social media experts have extensive experience in growing the online audience for many small businesses across the country. We can give your business a polished and professional look by providing you with quality content. If you are interested in getting a free quote, we may be reached at 573-552-8403.